The Prototypes are Brighton-based producers and DJs, Chris Garvey and Nick White. Having exploded onto the scene over the past few years, and with DJ support from the likes of Andy C, Knife Party, Zane Lowe, Afrojack, Annie Mac and Krewella to name a few, there’s been no looking back for the production duo with their polished, dancefloor-destroying drum and bass. Having made their debut on Futurebound’s Viper Recordings in 2010 with the track ‘Evolution’ from the inaugural ‘Summer Slammers’ album, it wasn’t long before The Prototypes caught the attention of some of the scenes leading taste-makers. Following their debut, The Prototypes quickly released their first single ‘Cascade’ on Infrared Records. A huge hit on both radio and across the scene, ‘Cascade’ received Radio 1 support from the likes of: Zane Lowe, Annie Mac, Annie Nightingale, Fabio & Grooverider – and was also featured on UKF’s first ever compilation album, ‘UKF Drum & Bass 2010’. 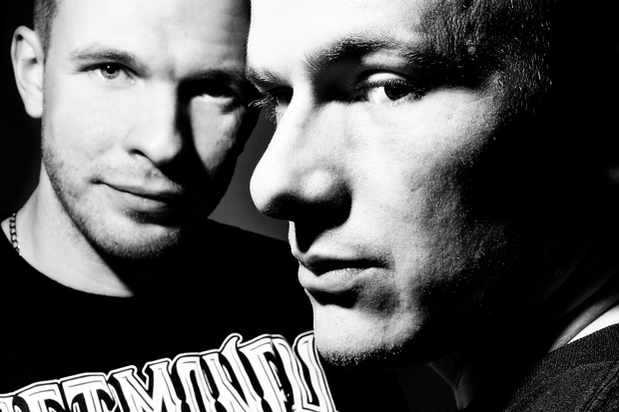 With early support from the likes of Roni Size, Matrix & Futurebound, DJ Friction, J Majik & Wickaman, Andy C, Pendulum, and DJ Fresh, The Prototypes quickly became one of the most hotly-tipped production duos in the scene. After being featured in Pendulum’s 2010 Essential Mix, The Prototypes unleashed the vocal anthem ‘Breathless’ on Formation Records to huge acclaim worldwide. 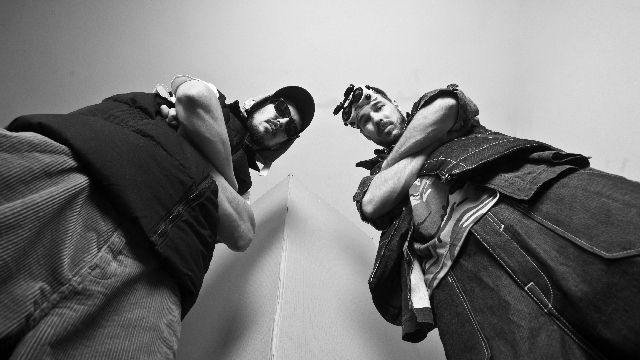 Having now cemented their place in the scene, The Prototypes signed with DJ Friction’s Shogun Audio in 2011. Wasting no time in making their presence known, the duo released their debut EP, ‘Born To Rise’, followed by the monster single ‘Pandora’ / ‘Abyss’. The end of 2012 saw The Prototypes release arguably their biggest track to date with the big euphoric dancefloor vibes of, ‘Suffocate’ from the EP of the same name. Never resting on their laurels, they returned less than a month later with another huge hit, ‘Blackout’, which featured the vocals of MC ID reminding us “it’s time to tear the roof off”. The Brighton boys next teamed up with vocalist Takura (of Chase & Status fame) in typical cinematic fashion to produce the haunting sounds of ‘Rage Within’, one of the finest examples of The Prototypes ability to produce vocal anthems that also cause bassline warfare on the dancefloor. Also one of the busiest production teams on the remix front, The Prototypes credits read as a who’s who of some of the biggest names in dance and electronic music. With remixes for the likes of: Avicii, Ed Sheeran, Bingo Players, Hadouken, Modestep, AlunaGeorge, Fleur, Don Diablo, Ian Carey feat. Snoop Dogg, DJ Vadim, The Qemists, Friction, and Koven – it’s not hard to see why The Prototypes have become so high in demand. Entering into the next chapter of their careers, The Prototypes have now signed with Viper Recordings and will release debut album in a matter on months. With ‘Just Bounce’ featured on Andy C’s ‘Nightlife 6’ album last year, their first single from the forthcoming ‘City of Gold’ LP has just dropped. The massive ‘Pale Blue Dot,’ with ‘Lights’ on the flip, has gathered a wealth of support from DJs and fans alike. The future has never been brighter for one of the most exciting production outfits in recent years. Ana Perišić (Novi Sad, 24. 4. 1986. -) je srpska pevačica. Poznata je po nastupima u TV-emisijama kao što su “Evropska zvezda” , uključujući talent show “Ja imam talenat” i Prvi glas Srbije; u kojem je ušla među prvih deset takmičara. Živi u Novom Sadu a po zanimanju je profesorka engleskog jezika i prevodilac. Snimila je i svoj prvi singl “Ja te ne volim” sa kojim je osvojila prvo mesto na festivalu “Stari grad” u Novom Pazaru, kao i pesmu za zrenjaninski muzički festival Soundlovers,pod nazivom “Celebrate summer time”. Takođe je sa Vladimirom Vojnovićem osnovala grupu Loveback koja je izdala svoj prvi album Live Again na kojem se pored pesama na engleskom jeziku nalaze i dve pesme na srpskom jeziku. Pored toga snimila je i pesmu “Where the whales are singing” koja se nalazi na albumu PERPETUUM MOBILE “ft” na EXIT Label. Seasoned industry veteran’ is perhaps the phrase which best describes Wenti ‘Wadada’. With an ear for music & a eye for talent and a predilection for innovation, the platinum bearded Rastafarian originates from the musically celebrated island of Jamaica, but his eclectic (to say the least) resume is a reflection of the diversity of his formative years, spent in both Jamaica, and London, with a couple of stints in the States thrown in for good measure. His work has taken him from Scandinavia to Africa, working alongside musical greats from Peter Tosh, to Paul McCartney in roles as diverse as journalism, A & R, music production, stage and tour management; there is possibly no entertainment industry related stone left unturned by Wadada. To begin at the beginning, Wadada’s first bona_fide music industry job was with Bamboo Records the then European arm of the legendary Studio One Records, who brought the first ever reggae acts to perform in Europe. Two years later Wadada joined Groundation Records, who were the leading reggae Company at the time. Here he was responsible for booking, promotions and tour management. 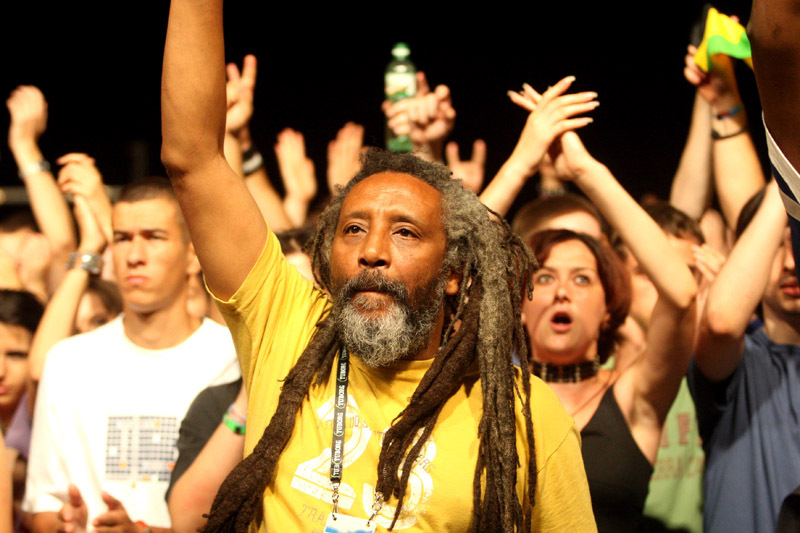 Wadada recognised that rather than targeting an audience made up of purely reggae fans, rock n roll could also be a great vehicle, and so his acts performed alongside the likes of Billy Idle and the Clash, with one of his acts, The Cimarons performing at the Rolling Stones’ end of World Tour party. It was during this time that he met the early & great Bob Marley & it was not through music, but by playing football with him at Wormwood Scrubs, London in the Shadow of the prison. Throughout the late 70’s and early 80’s Wadada maintained his primary love of touring with acts, but the next big move came in the form of his role as Music Editor at the nation’s first black national distributed newspaper, The Voice, and its subsidiary magazine, Black Beat which launched in 1982. These were ground breaking times, and the Voice newspaper was literally the Voice of a generation, unchallenged for over a decade. It was here that Wadada interviewed all the musical greats, including all the leading reggae acts of the day, along with R&B greats like Curtis Mayfield, George Benson, Barry White. In 1984 Wadada orchestrated the collaboration between the Cimarons and Paul McCartney. publishing company MPL who put out the Cimarons album, Reggaebility, and they also featured on the famous track Ebony & Ivory. It was here that Wadada met the late great Michael Jackson. 1987 saw Wadada yet again involved with another landmark project, this time as Stage Manager to the theatrical production by Flip Fraser “Black Heroes in the Hall of Fame”. The highly acclaimed musical was the first ever all black production to hit the West End, and for the first part of the 90’s toured the US and the Caribbean. The Production was honoured by the Mayors of Detroit & Chicgo, with the keys to the city’s. At the end of that tour Wadada felt it was time to reconnect with Jamaica, and spent 3 years at Green Island Records where he was responsible for A & R, and served as Studio and Entertainment Manager, and then as Manager of the label and it’s artists. However, during the mid 90’s Wadada took a break from the industry altogether, deciding to spend a little ‘family time’ in Canada, where he helped to run the family business. Returning to the UK in time for the turn of the new millennium, Wadada’s focus again took a new turn. Viewing the UK through fresh eyes, Wadada immediately noticed the lack of facilities and opportunities for London’s youth. Recalling how music had been an inspiration to himself and others of his generation, Wadada went about creating an Arts centred youth projects, workshops and talent development in some of the most deprived areas of North West London. 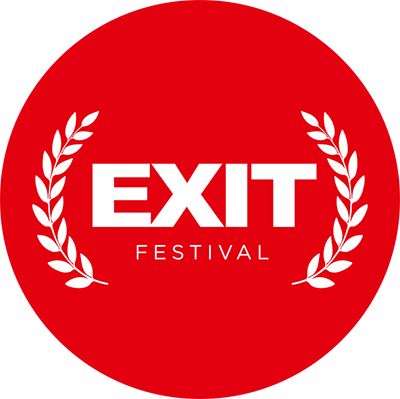 During this time Wadada also connected with the organisers of Serbia’s EXIT Festival, named by The Times newspaper as the best festival in the world, and has for the last 11 years been responsible for the artists on their Positive Vibrations reggae stage. College & European circuit in the 1970’s, it will be interesting to see where this next technologically forward thinking step will take him. 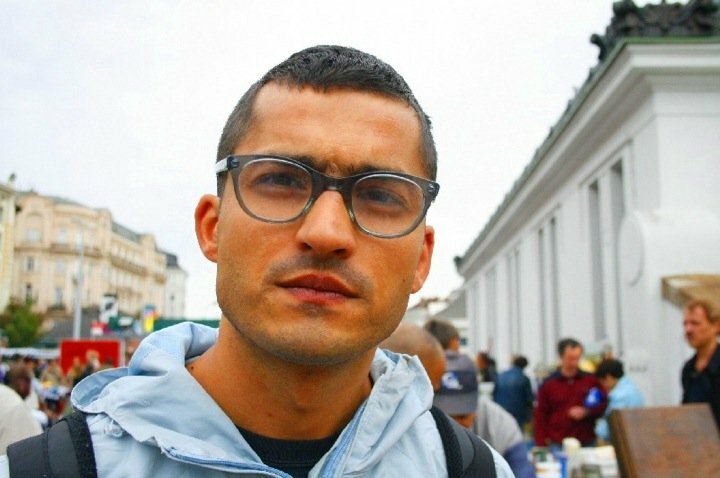 PureSoul (Petar Savic) is Producer, Musician, and Visual Artist from Serbia.